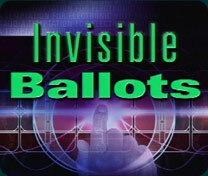 Invisible Ballots is an in-depth exposé of all-electronic computerized voting. This documentary presents a compelling case for requiring our election officials to provide a paper receipt or "paper trail" for all voting machines. Governments are installing computerized voting systems with no paper record to verify accuracy. 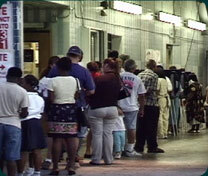 Elections will be controlled by companies that do not allow voters to inspect their software. 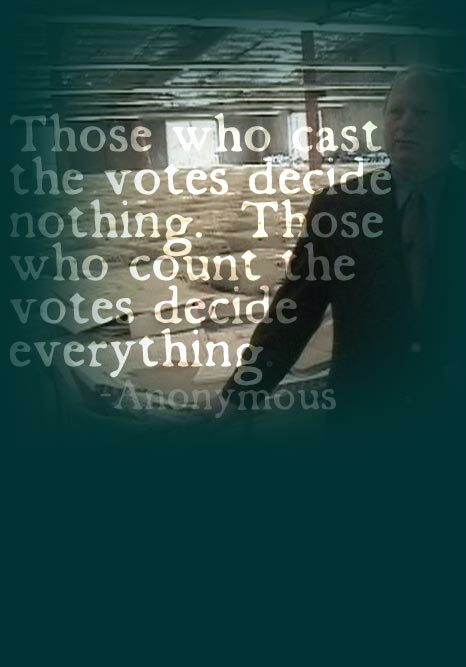 If vote counting becomes privatized, there may be no way to get it back. Hightech vote fraud is already a reality. Because of mounting opposition against invisible ballots, manufacturers have launched a counter-offensive to convince voters that the problems are being solved; but, at the present time, this is an empty claim that serves merely to calm the public while they continue to install their systems. Bev Harris, a prominent presence in Invisible Ballots, is working hard and making great strides with her organization, BLACKBOXVOTING.ORG. Here is something you can do in your community: REQUEST RECORDS by following this detailed plan of action: www.bbvforums.org. NEW: Activist Joan Brunwasser of Citizens for Election Reform is working hard to restore and preserve free and fair elections. Her main focus is distributing "Invisible Ballots" through her lending library project. LATEST UPDATE ON JOAN'S GREAT WORK: OpEdNews.com Thanks, Joan!! "A documentary much more relevant to this  election than "Farenheit 911" is available explaining how our system of elections can be manipulated in the 21st century. It is entitled Invisible Ballots. I urge you to investigate this report...I intend to show it to as many voters in my congressional district meetings as possible over the next two years."